“Naked We Came” by Robert Lane is a suspenseful psychological thriller that revolves around Jake Travis, a private investigator who is in search of his sister’s killer. During a family vacation, his sister, age 14, disappears after going to their motel room to get a book. Jake, almost 8 years old, decides he will go to the arcade room while she retrieves her book. That was thirty years ago, and to this day Jake is haunted by the memories of his sister, and the things he felt he should have done. Given that Jake has not told those who are closest to him about his sister, he continues to harbor anger, guilt and resentment internally, and in an attempt to bury some of that destructive cycle, he drowns himself in alcohol. Surprisingly, 30 years after his sister’s disappearance, the body of a man known as Leonard Hawkins washes ashore near Jake’s house. All initial evidence points to Hawkins for the abduction and killing of Jake’s sister all those years ago, however Jake is not convinced Hawkins is the culprit. Further investigation leads Jake to three rich and powerful friends who all provide evasive details about what happened that day. Jake also learns they are all connected to Russian government officials and a famous, powerful lawyer. Will Jake find justice for his sister and peace for himself? The story line is engaging and fast-paced and will keep you on your toes trying to figure out how an innocent young girl is caught up in such a mysterious kidnapping. Lane does an excellent job providing subtle clues throughout the story about her disappearance. Without revealing too much information, he prompts readers to keep turning the pages, all the while inducing more questions about the characters in the book without giving away the ending. Lane’s excellent writing will keep readers intrigued, and place them in the role of detective. Just when you think you have solved the case, “wham” the ending completely stuns you. I believe readers will enjoy this creative plot with numerous sinister characters and the chance to become a detective to help find those at fault. 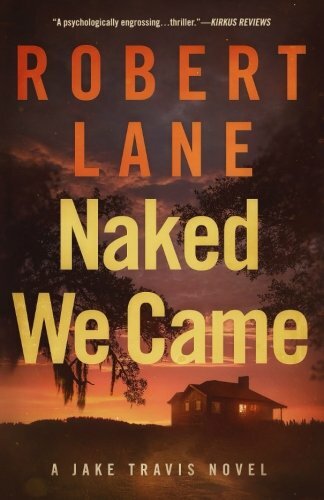 I recommend “Naked We Came” by Robert Lane to fans of fast-paced, suspenseful psychological mystery/thrillers.